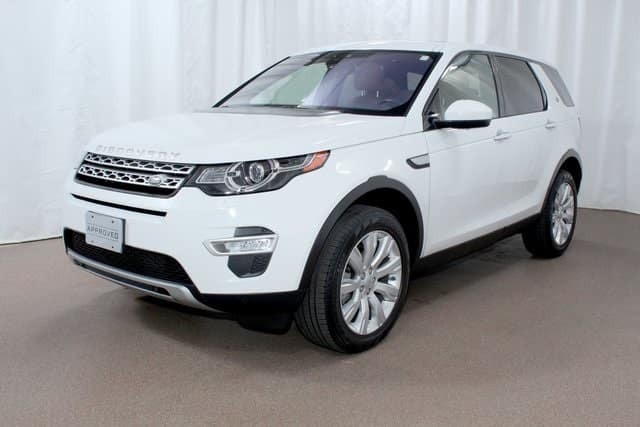 Land Rover Colorado Springs currently has this luxurious Approved Certified Preowned 2015 Land Rover Discovery Sport SUV in our inventory! With just under 47,000 miles on it, this Land Rover still has plenty of capability and luxury to offer for years to come! Plus, the price tag is spectacular especially considering the year and mileage – just under $34,000! Equipped with a 2.0L turbocharged engine paired with a 9-speed automatic transmission, you are looking at getting an estimated 20 MPG city/26 MPG highway. That is amazing fuel economy for a SUV with this size and capability! Plus, you can look forward to other great features including 3rd Row Package, Navigation system, Cold Climate Package, Driver Assist Plus Package, and SiriusXM Satellite Radio. Other features include steering wheel mounted controls, heated door mirrors, low tire pressure warning, and more. So, if it’s time to find a family-friendly luxury SUV, stop into Land Rover Colorado Springs to check out this Discovery Sport today. Let our friendly sales staff tell you all about the exciting features and the benefits of Approved Certified Pre-Owned!